AI is the definitive buzzword of 2018, don't you ThinQ? 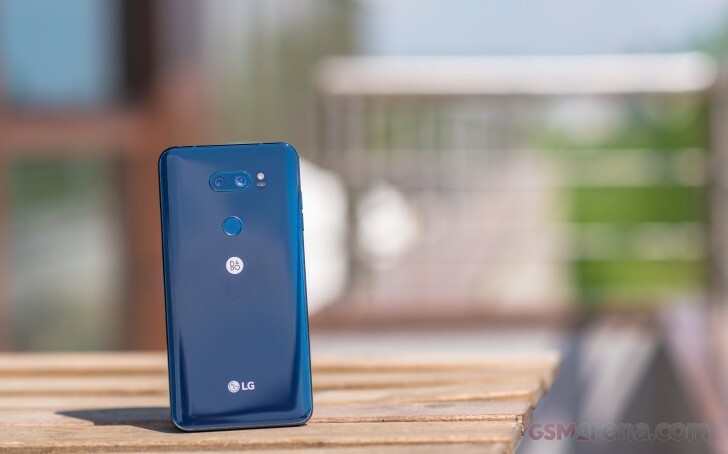 LG certainly does, so it's jumped on the hype train and created its own AI-focused brand, then slapped it onto what is basically last year's V30 with more RAM and storage - and some brand new AI features of course. This is the LG V30S ThinQ, which we'll call V30S from now on for our (and your) sanity's sake. Our specific model is actually the V30S+ ThinQ, as it has 256GB of storage. We've already compared the camera output of this model to that of the vanilla, non-AI infused V30, so if you're interested in how much pizazz the AI adds, don't miss that feature. That said, we admit we're intrigued by LG's latest. The company chose to announce this updated model at MWC instead of a brand new G7, in effect trying to milk the V30 even more. Whereas some manufacturers release new color versions after a few months to boost dwindling sales, LG goes further with more RAM, more storage, and built-in AI. Oh, and yes, refreshed colors, too. The V30 was probably one of the most underestimated flagships of 2017, flying under the radar for most people and thus definitely not breaking any sales records. The V30S ThinQ has the potential to make a more lasting impression by improving its predecessor's strengths. And with the LG G7 finally around the corner, it better have what it takes. Can a flagship with last year's chipset really hold its own against the competition? We decided to find out just how good the V30S is when used each and every day as our one and only smartphone. Join us over the next pages as we reveal what this experience felt like.